Hello there! Today I am sharing something that I am SO excited about! 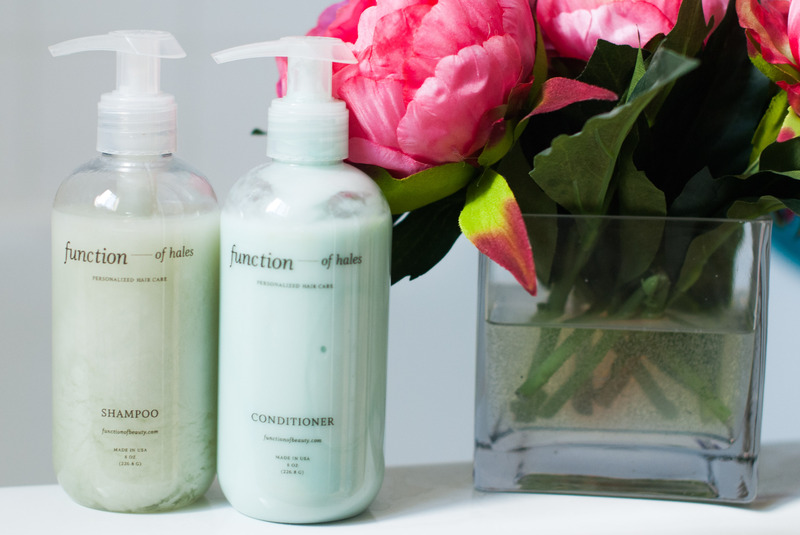 I am going to tell you how I completely personalize my hair care in just 4 simple steps with Function of Beauty. Let’s get started! The very first thing you do is create your hair profile. This includes choosing what type of hair you have (straight, wavy, curly, coily), choosing your hair structure (fine, medium, coarse), then choosing your scalp moisture (dry, normal, oily). For my hair type I chose wavy, hair structure I chose medium, and scalp moisture I chose dry. 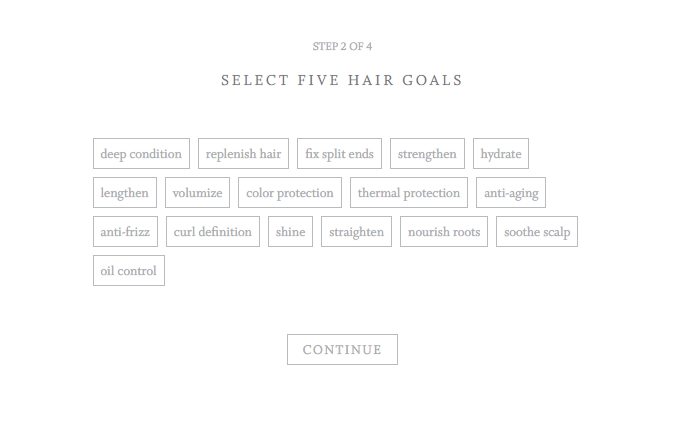 Next, you select up to 5 hair goals. There are so many options to choose from, but just pick what you think your hair needs. 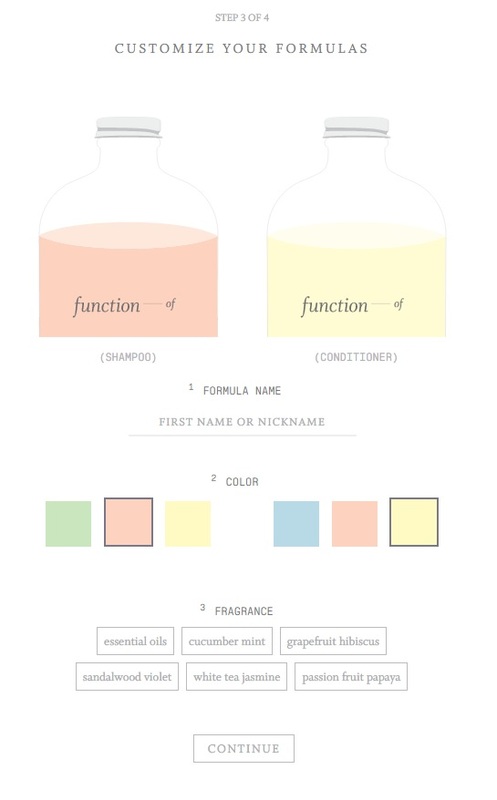 This step is my favorite part ;) Here is where you get to customize the name, fragrance and color of your formula. I changed my formulas name to “Function of Hales”. I love the color options too! I changed my colors to green and blue. The last part of this step was hard for me. So many good fragrances to choose from! I ended up choosing grapefruit hibiscus and it smells soooo good! I am so glad I tried this product out. I love having long hair, but sometimes I DON’T love taking care of it. It is so hard to find product that actually works. I have noticed my hair feeling softer and looking shinier since I have been using my personalized formula. Start creating your personalized formula here, and let me know what you think! Thank you so very much for stopping by! Enjoy your day!